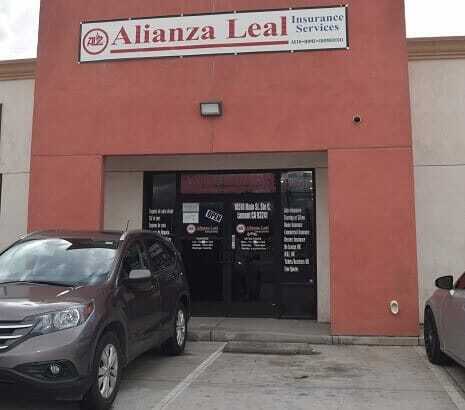 Alianza Leal Insurance Services provides registration services for 5 Star Car Title Loans customers. The store is located at 10518 Main St. Ste C, near the intersection with Palm Ave. 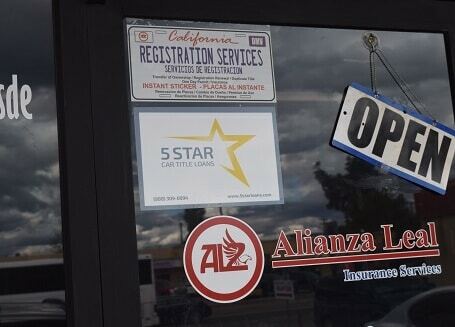 If you live in Lamont and in need of registration services, stop by Alianza Leal Insurance Services that works with 5 Star Car Title Loans in Lamont. 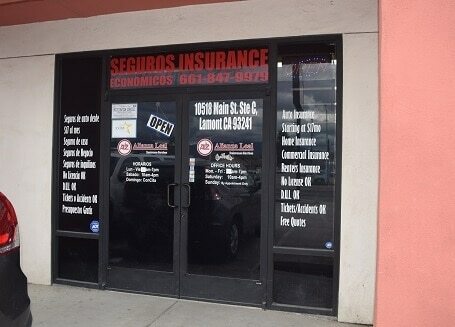 Alianza Leal Insurance Services provides our clients with unmatched customer service. 5 Star Car Title Loans does not issue loans at this location. When you are in need of a fast loan and don’t know which way to turn, consider applying to 5 Star Car Title Loans in Lamont. We use the value of a car that you own to prepare a quick loan that you can use for anything you need. Auto title loans are repaid in simple monthly payments. Is it True that Auto Title Loans are Favorable to Payday Loans? We certainly think that auto title loans are the way to go. Payday loans are for people who only need small amounts of money that they will pay back when their salary arrives. But if they don’t manage and need to take out another payday loan, their term begins over, making it super hard to ever get to the end of them. Payday loans are very short-term loans. On the other hand, you can apply online for auto title loans and get larger amounts of money. Don’t worry about paying them back, because payments are only due on a monthly basis. When you get to the end of your signed contract, you won’t owe anything else. Send in an online application to us at 5 Star Car Title Loans in Lamont. What Kinds of Hidden Fees Are Thrown into California Title Loans? No hidden fees! There are none! We do not believe in sticking hidden fees into our contracts for California title loans. If you’re ready to apply for auto title loans in California, contact our office at 5 Star Car Title Loans in Lamont. One of our agents will help you find the California location near you. We have several California title loans locations waiting to serve you with fast personal loans. Will I Have to Pay Prepayment Penalties on Bad Credit Loans? Absolutely not! Go ahead and apply for bad credit loans by sending your online application to us at 5 Star Car Title Loans in Lamont. When you are ready to prepay your bad credit loan, go ahead and do it without fear of penalties. We don’t charge hidden fees and we don’t penalize you for paying bad credit loans off ahead of time. What is Required for Online Loans for Bad Credit? When you apply for online loans for bad credit at 5 Star Car Title Loans in Lamont, we’ll need to see your car title, your ID and proof of your monthly earnings and expenses. We’ll let you know if we need more documents.